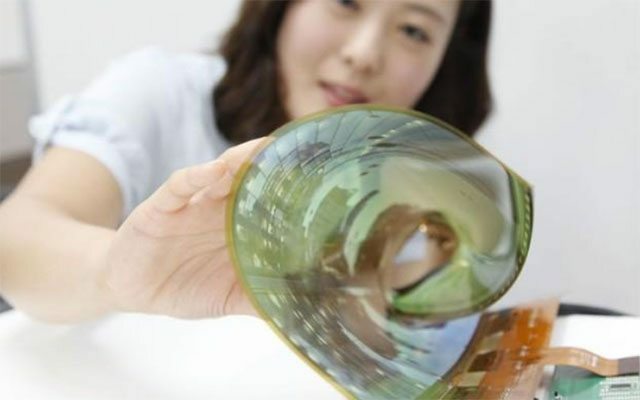 Just a few weeks ago the consumer electronics company surprised us again with the presentation of a high-resolution television screen which is completely flexible and can be rolled up. The model is not yet on sale, but there are images of the product (see video below). The screen is so fine that it can be rolled up into a cylinder with a diameter of just 3 centimetres and moved around as if we were carrying a newspaper under our arm; it has an diagonal size of 18 inches and a resolution of 1280 x 810 pixels. The images can still be seen normally even when the screen is curved. Instead of conventional plastic, LG has used a polyamide film to create it: a material which has permitted the maximum reduction of the screen’s thickness and made it flexible. Although the company has not mentioned it, the technology behind this futuristic television screen could undoubtedly be applied to other electronic devices. It is not difficult to imagine smartphones, tablets, smartwatches and other small gadgets which could be folded up to interact with them more conveniently when necessary. LG is planning to commercialise the new television model in 2017.